We at TG often have contrasting views on cars, but when it comes to vintage beauties, we have, for the most part, the same opinion. 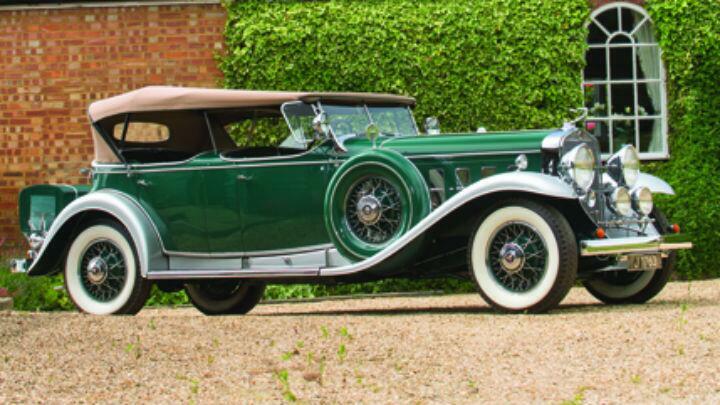 Take the Cadillac V-16 Sport Phaeton for example. It ticks all the right boxes; it’s quite good looking, it’s very, very rare and this particular Sport Phaeton was once owned by the Maharaja of Tikari, Gopal Saran Narain Singh. We like it. The Maharaja ordered this car in 1930 and it was specified as per his taste. It is draped in Emerald Green paint scheme, seats are covered in green leather and it even has a cloth top. Additional features such as polished stainless steel wire wheels with Emerald Green hubs, chrome-plated bonnet and scuttle vents make it look even more bespoke. The car was then used by the family members for a couple of years till they decided to ship it to the US. Under that long hood lies a 7.4-litre V16. Yes, 16 cylinders! You may be thinking that this gargantuan engine would develop a colossal amount of power, but let us inform you that the power output in this car is a mere 165bhp. And oh, the fuel tank in this car is as huge as it can get; it can hold up to113.7 litres of fuel. And if you go by the current petrol rates (in Mumbai), you have to shell out around Rs 10,000 to fill up the tank. The V-16 Sport Phaeton is expected to be sold at around Rs 4.5 crore to Rs 6.05 crore. You may be thinking why this car would attract such a high price tag. Well, only 75 examples of the Sport Phaeton were ever produced and this was the only one produced on a right-hand-drive chassis. The Sport Phaeton will be auctioned by RM Sotheby in London and the bidding is still in progress.